Paris Fashion Week, in my opinion, is one of the most important, during the fashion month. 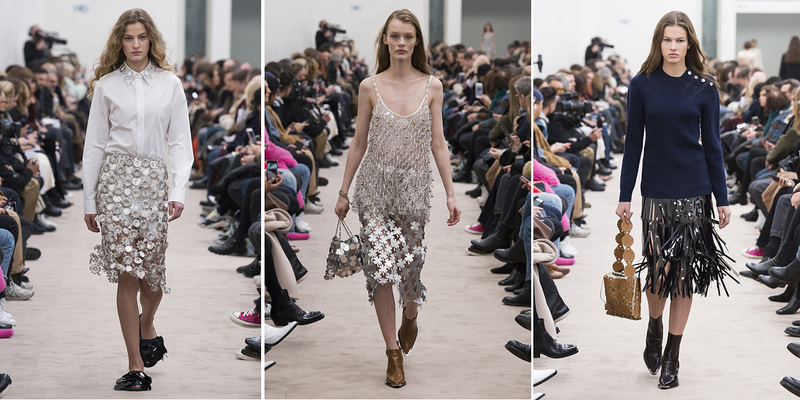 We do associate #pfw with the popular brands as Dior, Valentino, Stella McCartney and Chanel. It is difficult to focus ourselves only on the fashion shows, because the main streets of Paris are full of stylish looks: Parisians, models, photographers and even the old people. So I made a selection of the fashion shows that impressed me the most, from the brightest to the practical one. Let’s find out what the designers prepared for the next season? Jacquemus- is always an interesting cut that will fit very well in the casual life. I found the coat-cloak an absolute must, a mix between the simple coat and the classy trench.For the fashion addicted people this is a trouvaille. Imagine to have two peaces in one! If you’re not a fan of fashion, the collection can scare you, because of the strange design, but! Pay attention to the details and remember that even the most crazy idea can be accepted. The look will be still memorable and stylish, but more restrained. Do we need to restrain yourselves? 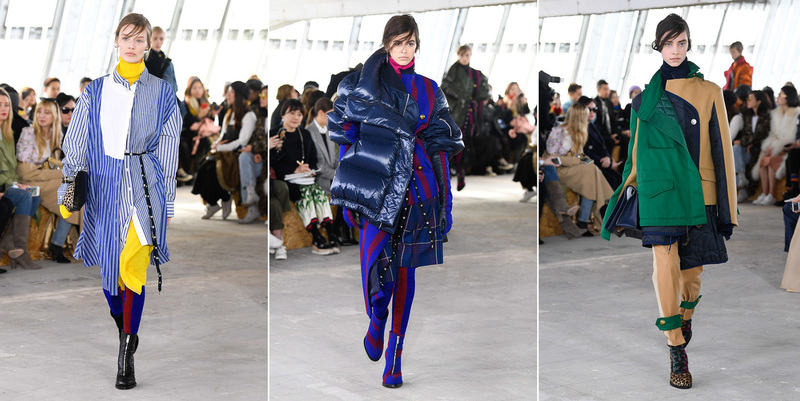 Imagine that you got cold, just put all that is in the suitcase on yourself and the atmosphere around you, will be ‘’painted’’ by the Margiela colors (as we know, Galiano). At the same time, you will cheer some passers-by! A vivid embodiment of men’s fashion in the women’s collection. And thanks for that to the Lemair designers! Oversize jacket, straight raincoats till the floor, classic trousers, larger- better. Notice the egg-yellow color, which was mentioned in the review of the Milan Fashion Week? Take a note! It will be only an accessory, or total look, as on the model, it’s up to you! Silk dresses are timeless! In winter and autumn we put them on with a sweater, tight pantyhose and boots, and in the summer with sandals on the bare feet. Designer Natasha Ramsay-Levy remembers the style of the 60’s-70’s, everything new is a well-forgotten old. Dresses are very loose, and, at the same time, feminine. The collection has also pleased us with some swank accessories! Unfortunately, nothing new for Paco Rabanne- same plastic and metal. But you can use them as the fashion elements for the everyday looks, why not? Paco Rabanne knows how to mix sport and classic looks, for example, the sport jacket with a dress. Asymmetric dresses, classic trench with no sleeves, a skirt was sewed to a shirt, on the top of the dress there is a bra. 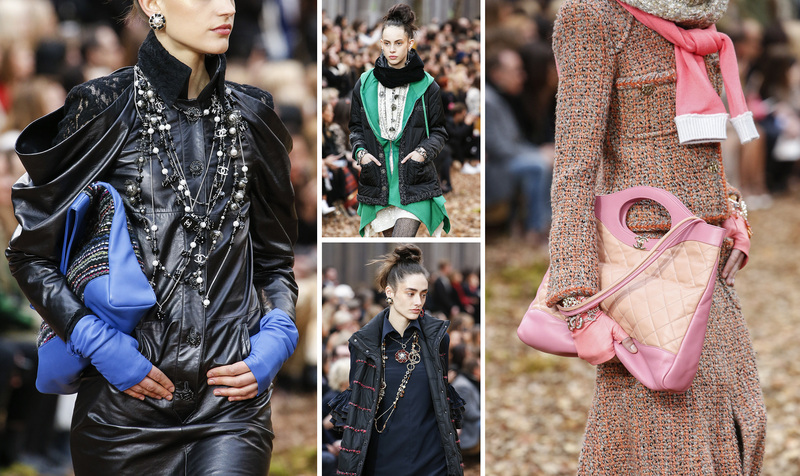 The total chaos of Loewe is in my heart. Everything is screwed and bound, and together it creates a very structural geometric image! It’s time to remember the classics: white dress, gray long trench and coat in a cage. These fashion looks will always be in the wardrobe of the fashion addicted people. It’s so easy to mix them! For several seasons, I am fascinated by a coat with a pronounced line of hips. This season showed them even without darts. Why? 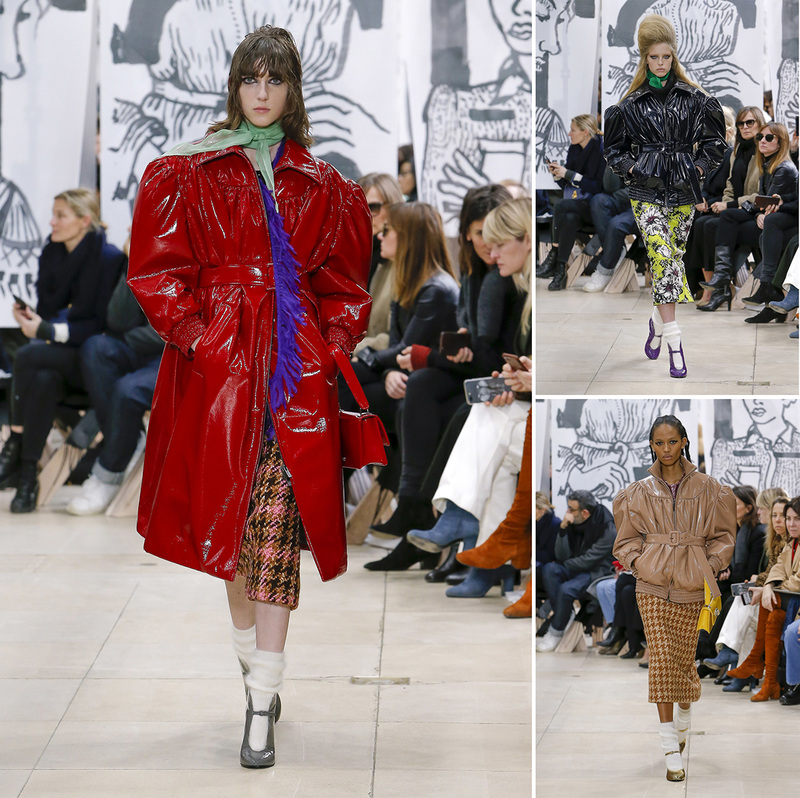 Balenciaga shows how new technologies can influence the process of creating a collection. The form of the jacket is created by the 3D printer, and then the clothes are embroidered using the 3D model. It’s so easy, without numerous seams. Models look very free, despite the complex shape. Pay attention to the accessories – and don’t forget to hang the keys on the belt! Layers, layers and layers! It seems that the street fashion found its embodiment on the podium, the fashionistas put on everything that was in the suitcases because of the cold outside. I like it too! Do not be afraid to wear several shirts of different lengths, and even different types of jackets. McQueen is not the same but… My choice- a good tuxedo, a classy #musthave for the fashion addicted. The dark green color (green as a wine bottle), we need it in our wardrobe. Chanel is always a good idea! You can examine every detail for a long time, enjoying the delicacy of the work – look only at this coat with falling golden leaves! No need to write any additional comments to the collection, just enjoy this beauty, be inspired and create! This is definitely the best I’ve ever seen in the styling of the 90’s. Cage, bomber jacket under your belt and large shoulders! 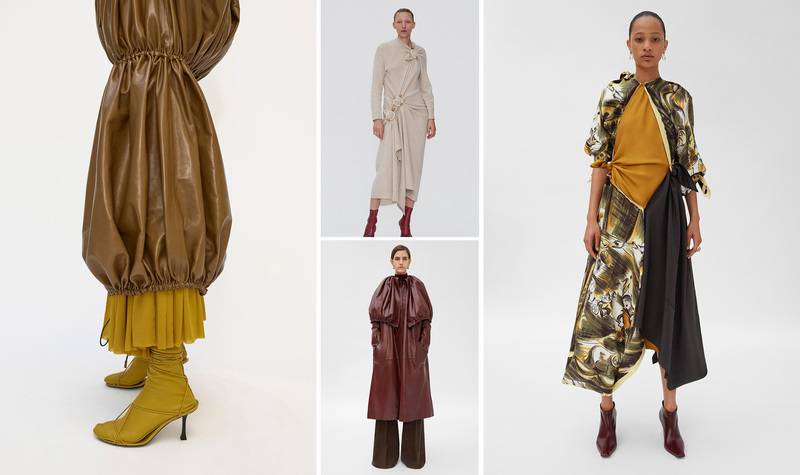 The latest collection of Phoebe Philo. 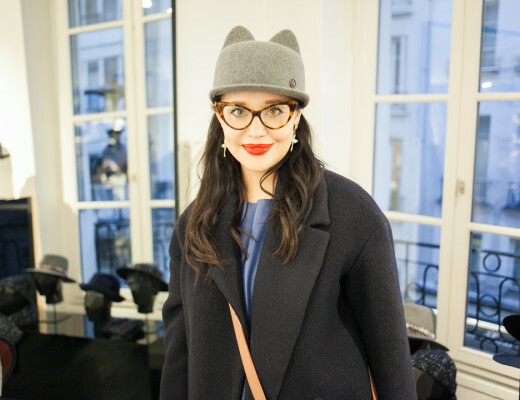 After 10 years of work, she leaves the office as a Cèlines’ creative director. What about the future of the brand – is unknown, but for now, we will enjoy the latest creation of Phoebe: wide pants, deep colors and even a little bit of Japan. Narrow silhouettes, fast movements and metal braid on the top of a colorful tweed. Nicolas Gesquière leads the image back to her beloved cyber girl, chained into flexible corsets and sporting stripes. 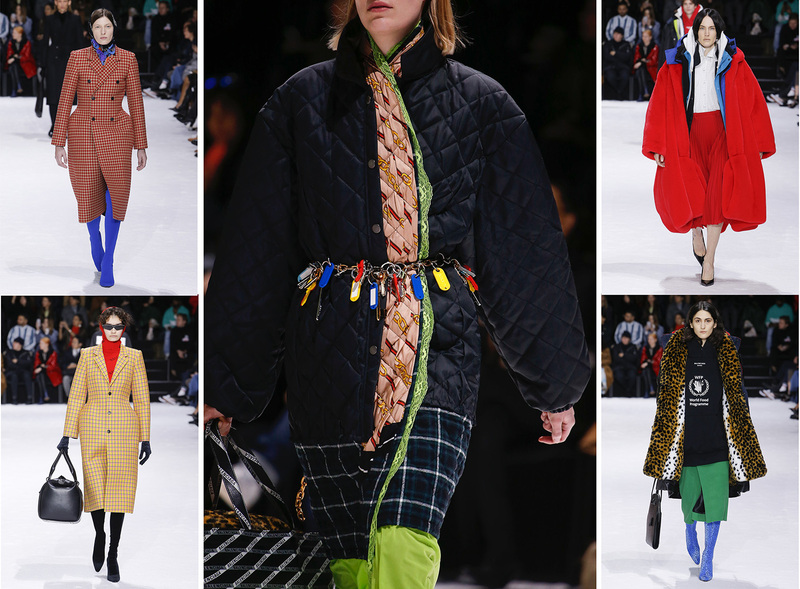 As to me, this is the best collection during the #pfw, you can study it, with no catwalk hype and no oversize! 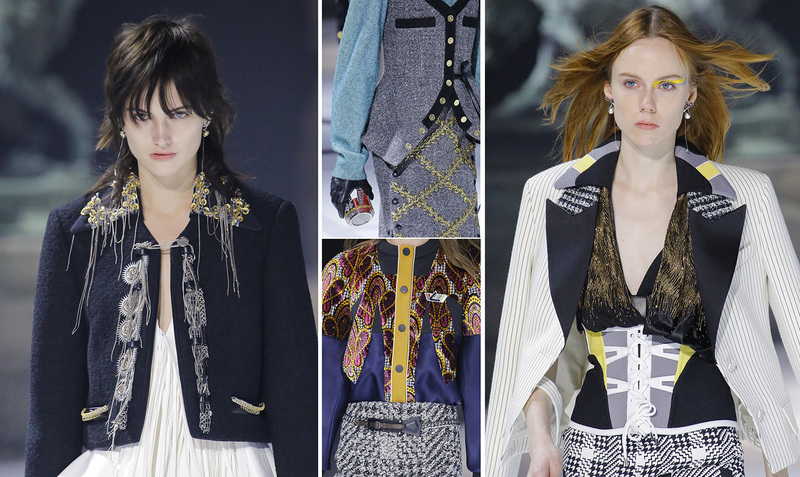 This is only a small part of what Paris Fashion Week showed us. My fashion choice- is not only interesting, inspiring, sometimes extravagant, but also what can be useful in creating a look, something that you will use during the casual life. 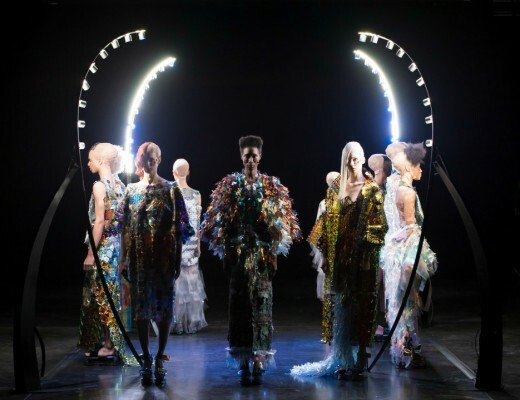 Fashion month is over, trends from the catwalks of New York, London, Milan and Paris will appear on the wind only six months later, but we have time to rethink, reconsider some details and select the best for ourselves! Want to know more about Fashion&Style? Follow my Telegram account: @stylistroutes.